We offer dignified services for those choosing the sea as their their final resting place. 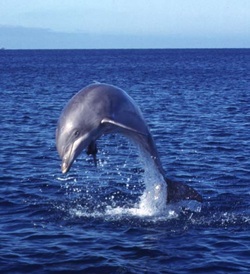 We perform these services in the Monterey Bay off the coast of Santa Cruz. At Lighthall we recognize the importance to provide these service with honor and respect. Your captain and crew conduct a dignified, caring memorial service at sea. The services may be attended or unattended by family and friends. Our captains are licensed by the U.S. Coast Guard and all of our boats are U.S.C.G. safety certified and commercially insured. Lighthall Yacht Charters guarantees you a professional, affordable memorial service for your loved one. 1 hour service. Up to 6 passengers per yacht (as per coast guard regulations). Multiple yachts are available to accomodate larger groups. Includes burial card with location. Family members and friends board the boat and proceed out of the yacht harbor. After we go the proper distance from the shore (approximately 15 minutes out of the harbor), the captain will turn the boat into the wind and stop the boat for approximately 15-20 minutes. You may bring music (tapes or CDs) if you like. The ashes are then scattered on the sea followed by flowers if you choose to provide them. If you would like, the skipper will offer the mariners farewell by ringing the bell 8 times, a tradition at sea. The date and GPS location will be provided to you. Upon completion of the scattering, we will return to the harbor via marine life and coastal scenary. Send us your ashes and we will take care of everything. Includes burial card with date and GPS coordinates. All services normally performed within 2-3 weeks of our receipt of ashes (weather permitting). If you would like, the skipper will offer the mariners farewell by ringing the bell 8 times, a tradition at sea. The service may be recorded by still photographs; please see Additional Services below. For those who want to invite a larger group, viewing from shore is the answer. Sometimes friends and family prefer to view the scattering of ashes from the shore. From this location at Lighthouse Point or the Santa Cruz Municipal Wharf, you may view the actual ceremony taking place on the sea. Some of the family members may go on the yacht for the service while additional friends and family view from shore. We are a caring owner-operated business with experience since 1985 performing these duties. Fill out the printable Authorization Form. Make a copy for your records and call us and we’ll provide you instructions on how to ship the remains to us. DO NOT MAIL REMAINS UNTIL YOU'VE TALKED TO A LIGHTHALL CHARTERS REPRESENTATIVE. Questions about these and any services offered, please call Scott & Krista Lighthall at (831) 429-1970.